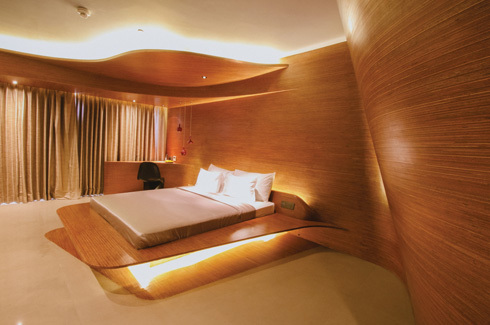 One of the most popular hotels in Chennai, Design Hotel Chennai by jüSTa, designed by Urban Studio is located within Phoenix Market City mall in the Velachery area of the city. Strategically located in close proximity to the tech parks, US consulate and the airport, the property offers a direct access to the happening shopping mall. 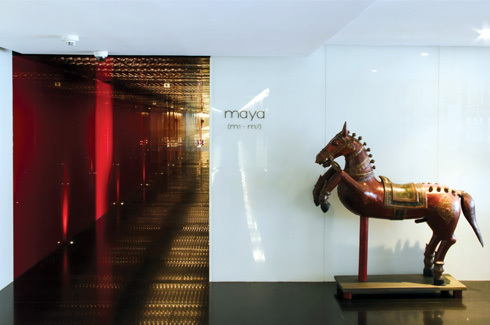 Traditional vibes at the lobby with unique Indian themed artefacts. Known for its design sensibilities that rank high on aesthetics and functionality, the 17-acre property is a haven for art lovers and is an ode to creativity. 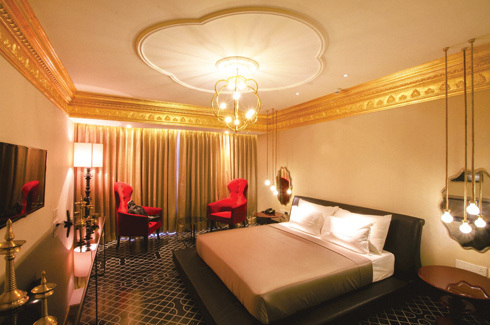 A celebration of all features intrinsic to Chennai and its cultural landscape, the 26-room boutique hotel has been designed by renowned architect Pronit Nath, head of Urban Studio. 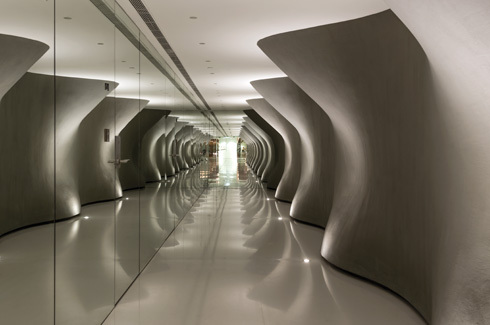 A perfect amalgamation of ancient Indian elements and contemporary sensibilities, the space is a sanctuary of unparalleled design and architecture. Right from the intricate wooden carved pillar at the entrance to the multiple wood figurines and several brass artefacts, traditional South Indian elements and symbols of temple architecture have been used generously in the space. The past and the present seem to integrate seamlessly in the interiors with images of traditional dance and craft forms elegantly framed with a classic 3D effect on the walls. 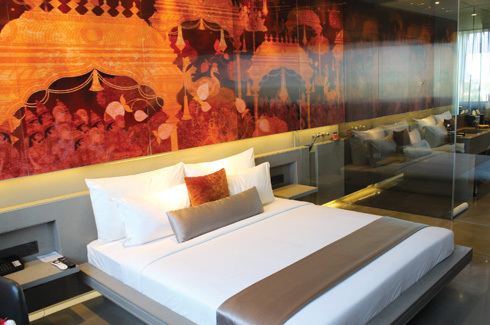 With majestic interiors, the Ati room is luxury and opulence personified. The rooms are spread over four distinctly designed corridors, namely Ati, Maya, Roop and Nunya. A picture of opulence the Ati corridor is inspired by the legacy of the wealthy Chettinad traders. 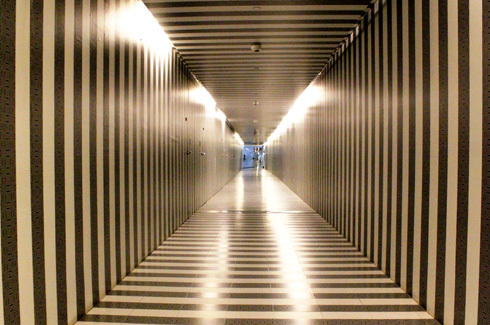 The monochrome Ati corridor creates a rather magical illusion as it leads to six lavishly designed rooms that are characterized by grandeur and pomp. Elaborate Tanjore paintings span the entire length of a wall in the Maya Room. Traditional Kolam or Rangoli, floor to ceiling windows, stylish light fixtures and old school brass lamps create an ambience of timeless beauty. Majestic furnishings, splendid drapes, use of marble and mirrors as well as vaulted ceilings with ornate crown moulding in classic gold leafing add a palatial touch to the interiors of the Ati rooms. The seven rooms of the Maya corridor transport you to a magical world much like its name with its clever play of light and shadow. The reflection of the ceiling lights against the red backdrop of the walls creates a wonderful aura making you feel as if you are treading on water! The design of the rooms here is a perfect balance between the past and the present with elements like magnificent lenticular Tanjore paintings, marble desktops, stylish sandstone flooring and three-dimensional optical illusion. With the 1000 pillar temple in Madurai serving as an inspiration to the Roop corridor, the rooms here are a picture of charm and subdued grace. Dramatic curves, Bisazza mosaic tiles and understated lighting elements embedded in overhead coves evoke both a sense of warmth as well as a futuristic vibe. The Nunya corridor is a symbol of beauty in simplicity. A white and beige colour scheme, wood accents, resin tiles and Carrera marble add a touch of class to the seven rooms. The deep red flooring creates an element of contrast and adds a pop of colour to the otherwise neutral hued space. Unconventional designs dominate the landscape of the Roop room. The Annam cafe which is the all-day dining restaurant is again an amalgamation of heritage and modern elements. Antique brass tiffin carriers, water jugs, new age furniture and stylish light fixtures designed along the lines of traditional musical instruments like the ‘mridangam’ and ‘tabla’ are some of the key features of this space. The bright ‘kolam’ printed tiles complement the tall glass windows giving the place an ‘open’, airy feel. Full of cheerful and relaxing vibes, it is an ideal place to sit back and enjoy your meal. 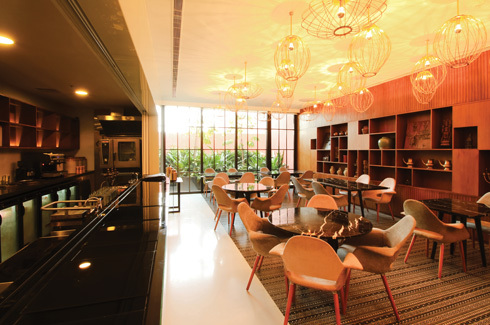 With quirky elements like light fixtures designed on the lines of traditional musical instruments, the Annam café exudes cheerful and relaxing vibes. 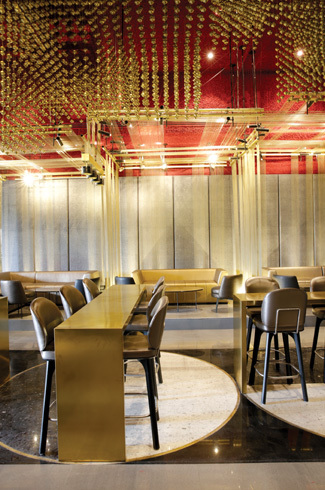 The in-house bar called the wire room is yet another uniquely designed space replete with unconventional materials like wires, cut glass, brass and mirror topped tables. With clearly demarcated spaces for restaurant, lounge and community seating, the space also has a dedicated DJ console. The highlight of the wire room is the network of glowing brass strings on the ceiling that has an arresting and almost breath-taking effect on the look and feel of the space. 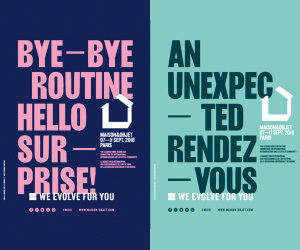 While, there is no dearth of superlative design elements at the Design Hotel by jüSTa, the best part about the execution is the seamless integration of the spaces that makes the whole setting subtle and not overpowering. True to the word jüSTa which is a Sanskrit word meaning ‘to welcome’, the property has an appeal that is unostentatious and invigorating.